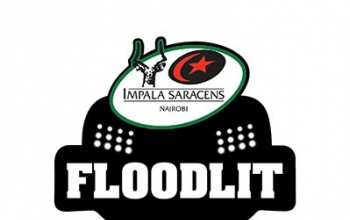 The 37th edition of Kenya's premier fifteens preseason tournament, Impala Floodies, gets underway on Saturday with four matches on the cards in the club category. Half of the quartet of matches are derbies-Ngong Road derby and Menengai derby, while the other two pit holders KCB against Mwamba and three-time winners Nondies against Strathmore Leos. None of the two Menengai brothers have ever won the Floodies gong and a win on Saturday is paramount for either if that is to change. The odds are in Homeboyz favour, if recent encounters between two and 15s form in 2018 is anything to go by-they've two silverware this year, Enterprise Cup; Nakuru, on the other hand, have been on the decline for the past two seasons and this will be an ample chance to make a statement if they are intent on turning a corner. Both sides, the DJs especially, will be without a number of their regulars but that will give the fringe players and new signings, if any, an opportunity to stake a claim for a slot in the first team ahead of the 18/19 Kenya Cup. If Nakuru are to win this one then the likes of Don Alouch, Brian Maina, Caccius Omollo, Charles Obako and Martin Muita will have to front up against a Djs side likely to rely on Emmanuel Mavala, Polycarp Odhiambo, Kelvin Masai, Israel Soi, William Diffu among others. Two different sides, two different fortunes in fifteens rugby in recent past. 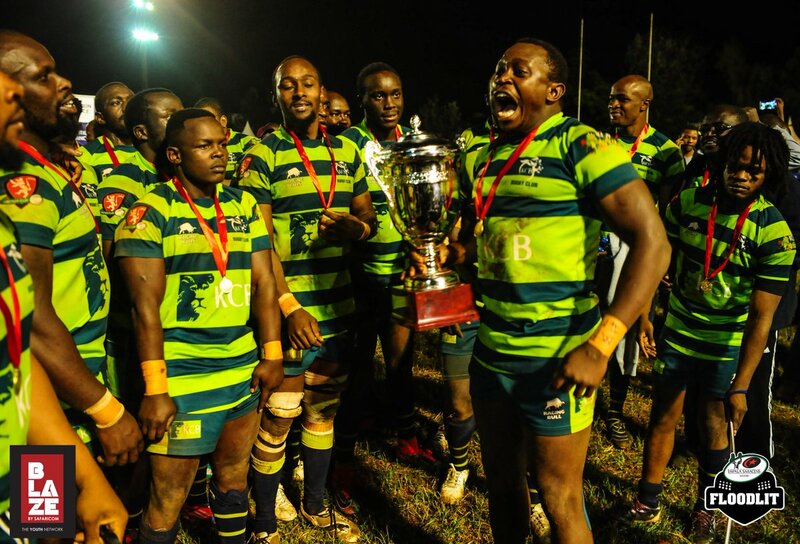 KCB have dominated local fifteens rugby for the last three years and have played in each of the last five finals of the Impala Floodies while Mwamba have not advanced past the Kenya Cup play-offs during that period. Their last Floodies title was in 2008. Mwamba will head into this one with the aim of snapping their nine-year drought at the Floodies and will draw inspirations from their second-place finish at the just concluded Stanbic 7s, a feat they last achieved in 2015. KCB, like Mwamba, will be shorn of a number of seminal players especially up front but that does provide an opportunity for the likes of Curtis Lilako, Nick Ongeri and Peter Waitere to step up their recovery as well as the upcoming players like Samuel Asati to prove that they can cut at the top level. 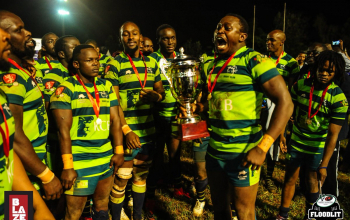 Recent encounters between the two have been closely fought, though KCB have always emerged victorious: A 53-7 shellacking of Mwamba in April 2018 is the only exception. Last year's plate finalists, Leos attempt to better that performance will kick-off with a duel with Nondies, replacements for Kabras who couldn't honour their invite due to logistical reasons. The 2017/18 Kenya Cup had signs of Leos resurgence but that may have put into doubt by their lackadaisical performance in the 7s circuit. Nondies, on their side, have been a constant occupier of the Kenya Cup mid table but will hope their decent performance in the 7s series can inspire them further upwards. The Red Lions have won the last two installations of this fixture but the three preceding those two went to the varsity students way. Nondies will likely miss the likes of Dennis Ombachi, Oscar Dennis, Biko Adema and Benjamin Marshall but should count on the likes of Fidel Oloo, Moses Begi, Frank Mutuku and Jerry Matata to get the job done; for Leos, whether Lucas Opal, John Oduk, Gedion Makumi and Gabriel Odero turn up to the party willl be key. This will be the third edition of this derby in 2018. The previous two have been won by the Sarries 10-8 and 33-18 respectively. Quins won the Plate last sesaons and will have to navigate a way past their arch foes in order to better that. They will be under the tutelage of Charles Cardovillis for the first time since his return from Kabras and should draw inspiration from the fact that before his move to Kakamega they had not lost to Impala for three years-since November 2014. Impala are the second most successful side in this competion with seven titles under their belt but are at risk of losing that slot to KCB should they fall to Harlequins. 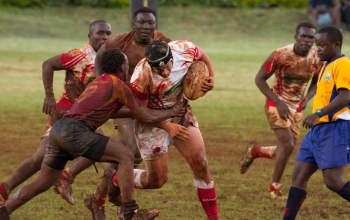 Both sides had disappointing sevens campaigns and were relegated twice each but will be out to put that behind them with a good Floodies showing as well as the upcoming Kenya Cup. Paul Mutsami, Davis Makori, Quinto Ongo, Rainer Omondi and Tyson Okoth are among the Sarries players likely to prove a handful for quins, who will be reliant on the likes of Peter Misango, Patrice agunda, Edward Oseko, Dennis Muhanji and Issac Adimo.